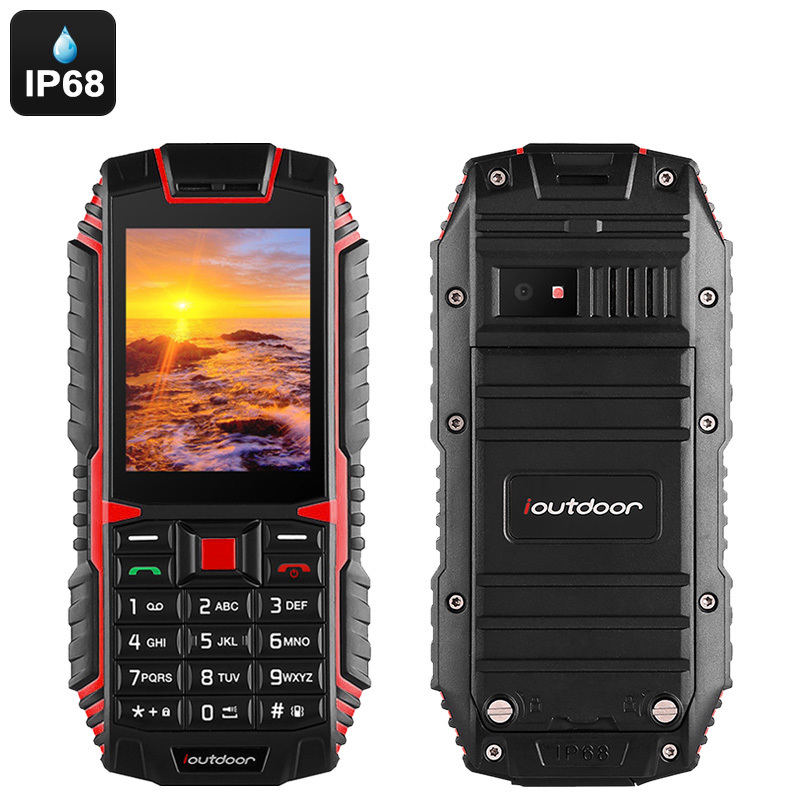 Successfully Added iOutdoor T1 Rugged Phone - Dual-IMEI, 2100mAh Battery, IP68 Waterproof, Bluetooth, 2MP Camera, Flashlight (Red) to your Shopping Cart. Stay connected while enjoying the outdoors with the iOutdoor T1 rugged phone. This cheap phone comes with an extremely tough IP68 rugged body. Thanks to this, your rugged phone can be carried along and used in virtually any environment. The cell phone is fully protected against dust and drops and is furthermore waterproof. No matter where your next outdoor adventure will take you, this cell phone will follow you anywhere you go. It even comes with a sophisticated 2MP camera that lets you snap nice pictures and video of your future trips in the outdoors. The iOutdoor T1 Phone supports Dual-IMEI numbers for great connectivity. It allows you to slide in two SIM cards and stay connected to both at the same time. This means that you can always be reached at two different phone numbers while you only use one mobile phone. If you often travel abroad or wish to separate your work and private life – this feature is perfect for you. The phone itself comes with a nice 2.4-Inch display and easy to use keypad. It packs a whopping 2100mAh battery for 48 hours of usage time and an unbelievable 9 days of standby time. The phone furthermore treats you to a flashlight, Bluetooth 3.0, as well as a 32GB SD card slot to store all your files, pictures, and contact information.